^ Changes in the populations of the majority ethnic groups. belstat.gov.by. [2016-07-28]. （原始内容存档于2016-07-28）. ^ FAO's Information System on Water and Agriculture. FAO. [2013-02-16]. （原始内容存档于2012-01-26）. ^ Demographic situation in 2015. Belarus Statistical Office. 2016-01-27 [2016-01-27]. （原始内容存档于2016年2月3日）. ^ 5.0 5.1 5.2 5.3 Belarus. International Monetary Fund. 2016 [2016-04-14]. ^ Distribution of family income – Gini index. GINI index. Worldbank. [2014-01-05]. ^ Eternal Daylight Saving Time (DST) in Belarus. timeanddate.com. 2011-09-19 [2011-11-26]. ^ ICANN адобрыла заяўку Беларусі на дэлегаванне дамена першага ўзроўню з падтрымкай алфавітаў нацыянальных моў .БЕЛ. [2014-08-26]. ^ ‘白罗斯”而不是‘白俄罗斯’. 白罗斯驻華大使馆. 2018-03-17 [2018-03-17]. （原始内容存档于2018-03-17） （中文（简体）‎）. ^ UN Statistics Division. Standard Country and Area Codes Classifications (M49). United Nations Organization. 2010年4月1日 [2010年4月22日]. （原始内容存档于2010-04-17）. ^ 12.0 12.1 12.2 12.3 12.4 12.5 中国外交部 互联网档案馆的存檔，存档日期2004-03-02. ^ James Minahan. Miniature Empires: A Historical Dictionary of the Newly Independent States. Greenwood. 1998年: 35页. ISBN 0-313-30610-9. ^ Plokhy, Serhii. 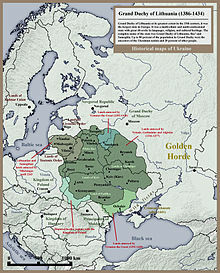 The Origins of the Slavic Nations. Cambridge University Press. 2006年: 第94–95页. ISBN 0-521-86403-8. ^ Ermalovich, Mikola. Pa sliadakh adnago mifa (Tracing one Myth). Minsk: Navuka i tekhnika. 1991年. ISBN 978-5-343-00876-0. ^ Charles Henry Robinson. The Conversion of Europe. Longmans, Green. 1917年: 第491–492页. ^ Rowell, S. C. Baltic Europe. (编) Jones, Michael. The New Cambridge Medieval History (Vol.6). Cambridge University Press. 2005年: 第710页. ISBN 0-521-36290-3. ^ Nowak, Andrzej. The Russo-Polish Historical Confrontation. Sarmatian Review XVII. Rice University. 1997-01-01 [2007-12-22]. （原始内容存档于2007-12-18）. 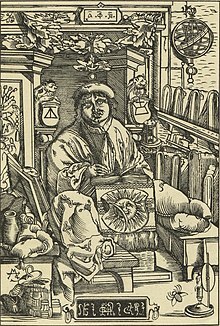 ^ Scheuch, E. K.; David Sciulli. Societies, Corporations and the Nation State. BRILL. 2000年: 187页. ISBN 90-04-11664-8. ^ Ioffe, Grigory. Understanding Belarus and How Western Foreign Policy Misses the Mark. Rowman & Littlefield Publishers, Inc. 2008-02-25: 57. ISBN 0-7425-5558-5. ^ Borzęcki, Jerzy. The Soviet-Polish peace of 1921 and the creation of interwar Europe. Yale University Press. 2008: 36. ISBN 978-0-300-12121-6. ^ Sorge, Arndt. The global and the local: understanding the dialectics of business systems. Oxford University Press. 2005 [2009-11-10]. ISBN 978-1-84331-385-4. ^ Minahan, James. Miniature empires: a historical dictionary of the newly independent states. Greenwood Press. 1998 [2009-11-10]. ISBN 978-0-313-30610-5. ^ Baron, Nick. Homelands: war, population and statehood in Eastern Europe and Russia, 1918–1924. Wimbledon Publishing Company. 2004 [2009-11-10]. ISBN 978-1-84331-385-4. ^ Marples, David. Belarus: A Denationalized Nation. Routledge. 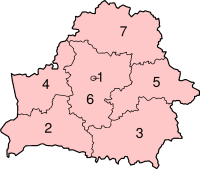 1999: 5. ISBN 90-5702-343-1. ^ Axell, Albert. Russia's Heroes, 1941–45. Carroll & Graf Publishers. 2002: 247. ISBN 0-7867-1011-X. ^ Belarus – Prelude to Independence. Library of Congress. Countrystudies.us. [2013-04-29]. ^ World Factbook: Belarus (TXT). Central Intelligence Agency. 1994-10-20 [2007-12-21]. ^ Fedor, Helen. Belarus – Prelude to Independence. Belarus: A Country Study. Library of Congress. 1995 [2007-12-22]. 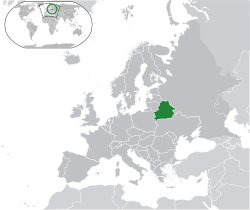 ^ Essential Background – Belarus. Human Rights Watch. 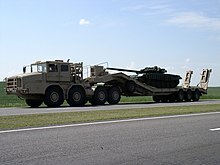 2005 [2006-03-26]. ^ Human rights by country – Belarus. Amnesty International Report 2007. Amnesty International. 2007 [2007-12-22]. （原始内容存档于2007-12-12）. ^ Coordinates of the extreme points of the state frontier. Main Geographic Characteristics of the Republic of Belarus. Land of Ancestors. the Scientific and Production State Republican Unitary Enterprise "National Cadastre Agency" of the State Property Committee of the Republic of Belarus. 2011 [2013-09-11]. ^ 36.0 36.1 36.2 36.3 Belarus – Geography. The World Factbook. Central Intelligence Agency. 2007 [2007-11-07]. （原始内容存档于2007-11-14）. ^ Belarus: Window of Opportunity (see Table 15, page 66) (PDF). United Nations. [2008-09-22]. （原始内容存档 (PDF)于2008-10-01）. ^ Key Facts. 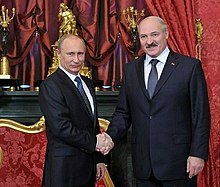 Press Service of the President of the Republic of Belarus. 2015. ^ Jan Zaprudnik. Belarus: At A Crossroads In History. Westview Press. 1993: xix（19页）. ISBN 0-8133-1794-0. ^ Bell, Imogen. Eastern Europe, Russia and Central Asia 2003. Taylor & Francis. 2002: 132. ISBN 1-85743-137-5. ^ Fedor, Helen. Belarus – Climate. Belarus: A Country Study. Library of Congress. 1995 [2007-12-22].